Sigmaringen is a cultural and historic landmark in the middle of the state of Baden-Württemberg. 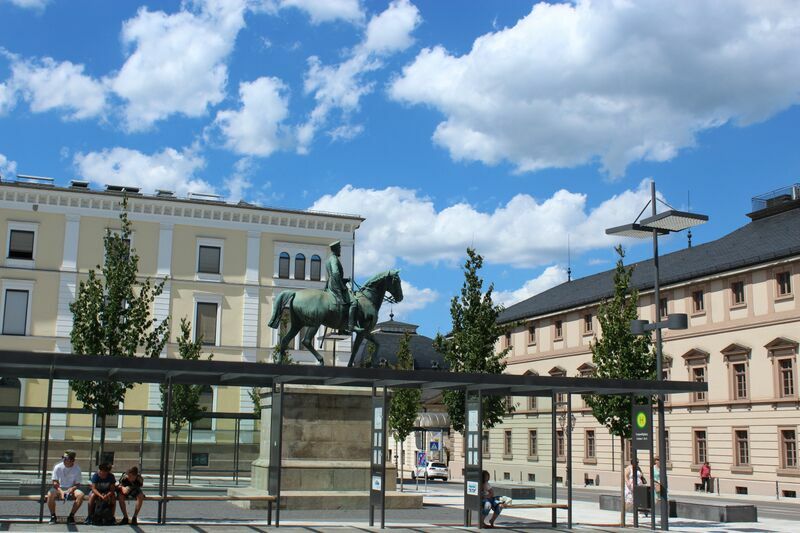 Considered to be in the lower south of the Swabian Alb, this town dates back to the Middle Ages, around 1077. This summer we were delighted to visit this quaint, clean and blooming city. This welcoming town had flowers in every flower box and picturesque half-timbered buildings straight out of a nursery rhyme. Also during the summer months June to August, Sigmaringen celebrates with an annual flower festival. While we were there, we also heard a lovely children’s band playing on the square. This Prussian-Hohenzollern gem of a home is so rich in history and beauty that almost every king or prince who came here decided to live here. It is evident throughout the tour that each wing had been renovated or brought up-to-date. The castle of royalty also has a French connection which was established during World War II. After the Allied invasion of France, Sigmaringen became home to the French Army and the Vichy government. Our search for the castle was a challenge. Because we were so busy admiring the beauty of this town on the Danube River, we didn’t notice these “blue” castle signs right away. Sometimes directionally challenged, I eventually found the castle; however, the entrance was a twisting walk up a steep hill. And though the tours are in German, they do offer an English booklet that follows along with the German tour. The website does indicate that “foreign language” tours are available for groups of 15 or more if reserved in advance. 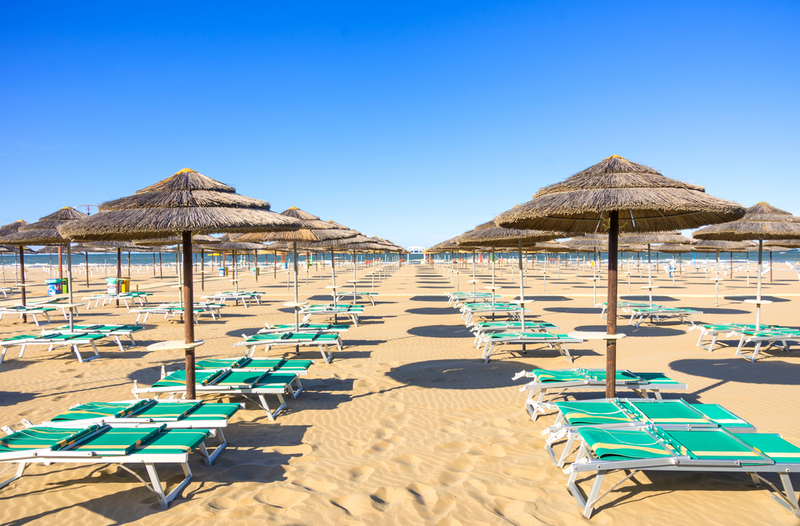 The tour costs €9 per person and lasts approximately an hour. Sigmaringen Castle has the largest medieval and historic armory and military collection in the area. 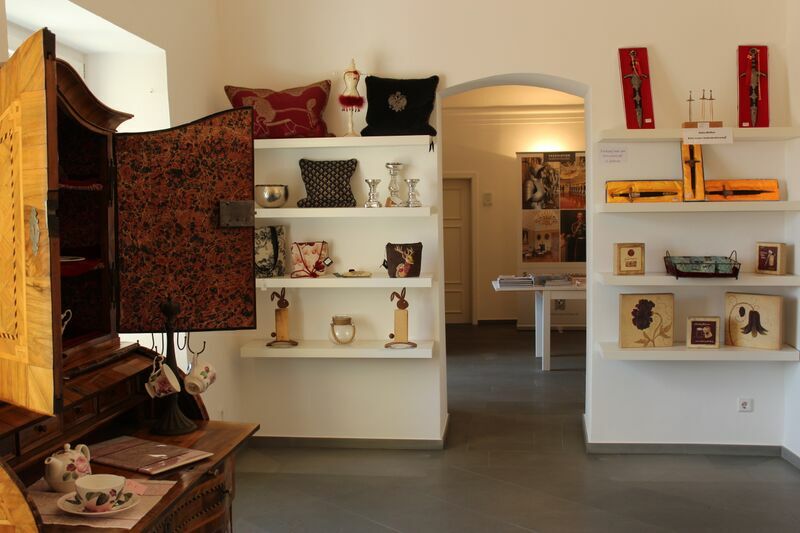 Although pictures and video were not allowed inside the castle, their gift store had many postcards (with the armory and military collection) for you to choose from. Although you can always find a place to eat in any Altstadt (old town) of most German towns and not be disappointed, this time we did some research. 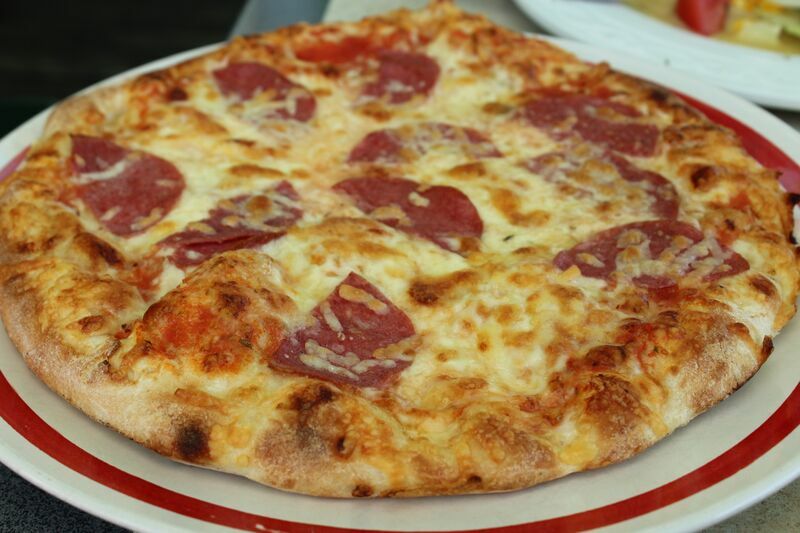 We found a wonderful Italian pizzeria restaurant, Pizza Express Italiana, not too far from the castle. Our little group always enjoy a good pizza, especially when it’s delicious and affordable. Even though there was some construction around the restaurant, it was worth the trip. The restaurant was given high marks by TripAdvisor as well as the wait staff was quite friendly and welcoming. 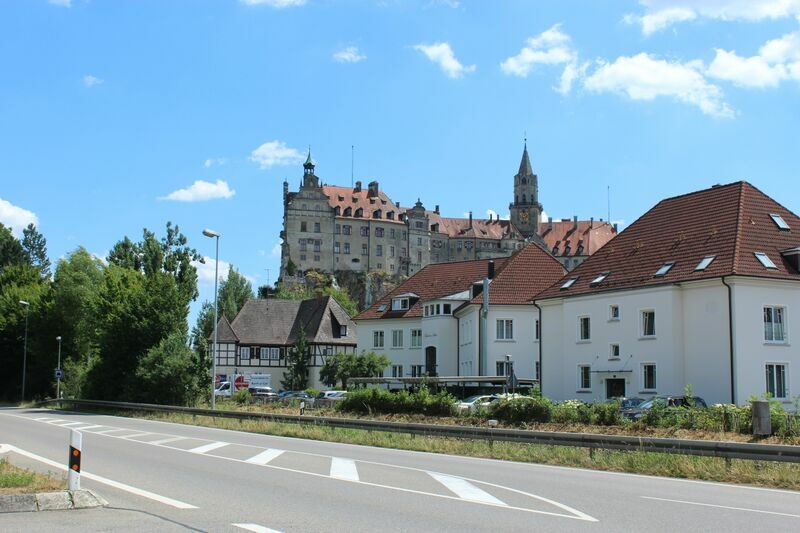 Getting to Sigmaringen was tricky as there was quite a bit of construction and Staus (traffic jams) on the highway. Even though my GPS re-routed us a few times, our final route made it just a little bit longer. Being situated near Sonnenbühl and Reutlingen, I absolutely love this area of Baden-Württemberg. This sunny part of the region is joyful to visit. We finally arrived but parking was also a little bit difficult. We couldn’t really find the big blue “P” signs, but we eventually did find street parking for a few hours and walked to the city center. We also found the information center in town, which was very close to the bus station and it looked like it had train access too. If you haven’t discovered the big “i” signs in most towns yet, it they will help you with tourist sights-to-see, castles and city events, etc. The information center is a phenomenal resource and often has workers who speak very good English. 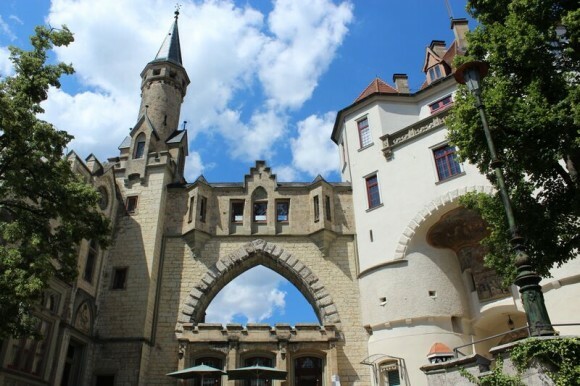 Sigmaringen is a day trip from Stuttgart! 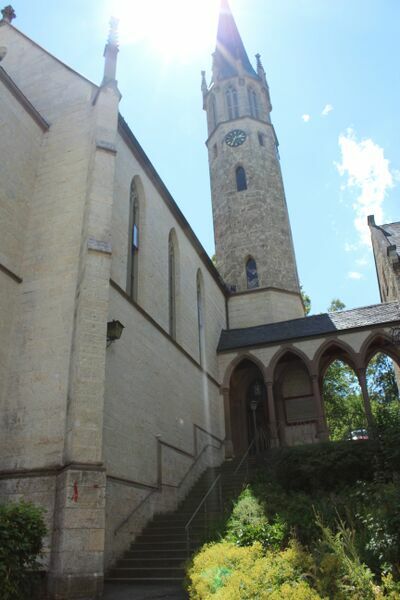 And if you love visiting Höhenzollern, you will not be disappointed in this town and castle either. 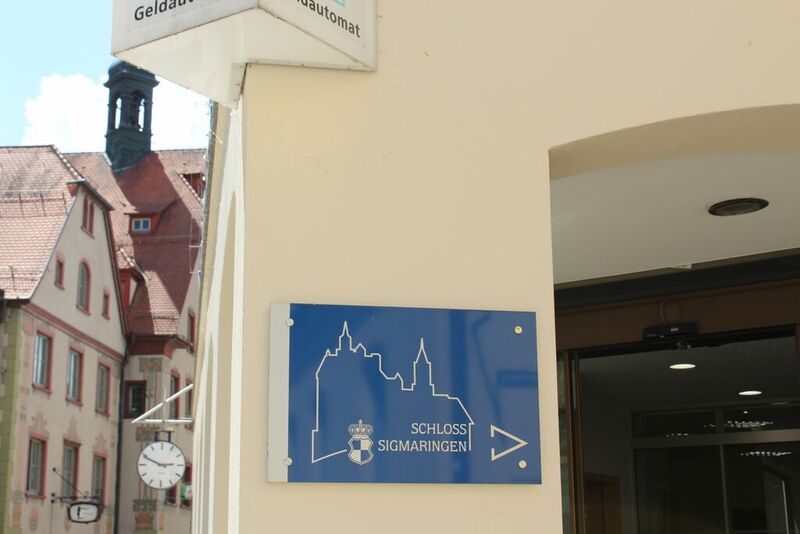 Sigmaringen is 1 hour and 30 minutes south of Stuttgart, 3 hours and 30 minutes southeast of Kaiserslautern and 3 hours and 35 minutes south of Wiesbaden. For train details, click on DB Bahn.